Google has confirmed that its popular e-mail service Gmail has become unavailable to what it describes as "a small subset of users". It follows a major outage of the service at the end of February when it was unavailable to all users for several hours. 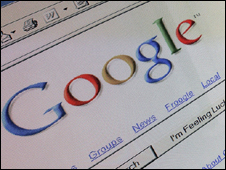 This was believed to be one of the longest downtimes ever suffered by Google. More than 113 million people use Gmail worldwide, according to comScore. Of the latest outage Google said in a statement: "We're aware of a problem with Gmail affecting a small subset of users. The affected users are having difficulty accessing their accounts. "The team is working as quickly as they can to resolve the problem. We know how important e-mail is to our users, so we take issues like this very seriously." According to Google, its e-mail service suffered an average of 10 to 15 minutes of downtime per month in 2008. E-mail is ruining my life!